Turkish President Recep Tayyip Erdogan on Friday said he would soon re-name his controversial new presidential palace, adopting the name of the complexes surrounding imperial mosques. Erdogan said in a speech in Ankara that the Presidential Palace would in future be known as the Presidential Kulliye and will contain a mosque, convention center and a gigantic new national library. “Thinking big is not the work of dwarves,” said Erdogan in his characteristically earthy language. “Which is not to offend dwarves, I love them too,” he added. A kulliye is traditionally a complex including schools, kitchens, guest houses and bath houses which surrounds a mosque and is managed by the mosque. Erdogan, a pious Muslim who has dominated Turkish politics for over a decade, has been accused by opponents of imposing a creeping Islamisation on Turkey’s officially secular society. Some of Ottoman Turkey’s greatest imperial mosques in Istanbul and elsewhere have hugely impressive kulliyes and it is this tradition that Erdogan appears to be harking back to. He seemed to raise the idea that the palace (or kulliye) will become a tourist attraction in the future. “You see tens of thousands of tourists going to the Kremlin,” he said. “They go in Istanbul to the Topkapi Palace, the Dolmabahche palace,” he added, referring to the great Ottoman palaces of Istanbul. Erdogan opened his hugely controversial new presidential palace on the outskirts of Ankara in October. It has 1,150 rooms and was built at a cost of around 490 million euros ($615 million). 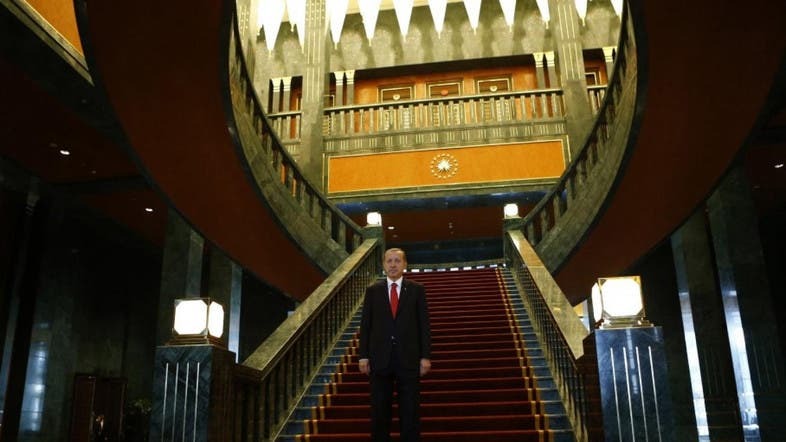 He says that the palace is a symbol of a resurgent Turkey which he is building. But opponents decry it as an extravagance in an increasingly authoritarian state.